This small scale freezedrier is well suited for archaeological preservation of small objects. Frozen in Time have also built large scale freeze driers for water damaged document recovery and freeze dried flower producers. 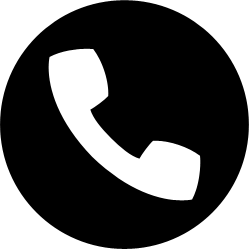 They are always built to order to suit the user’s requirements. The model D6/14 in the D range refers to the size of the product chamber, the 6 being 0.6m in diameter and 14 being 1.4m long. 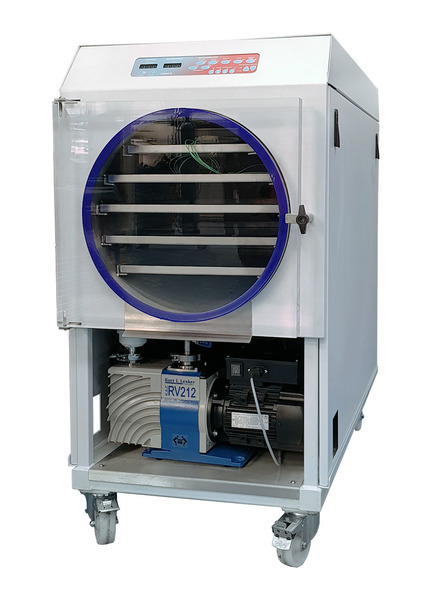 Certain products require special chamber configurations and loading systems. This medium scale freezedrier is ideally suited for archaeological preservation of medium sized objects. The model D9/25 in the D range refers to the size of the product chamber, the 9 being 0.9m in diameter and 25 being 2.5m long. This larger scale freezedrier is ideally suited for archaeological preservation of large objects. 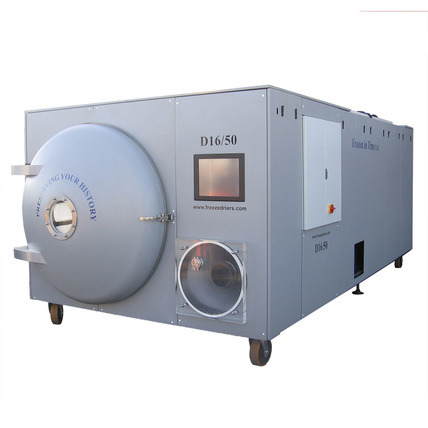 The model D16/50 in the D range refers to the size of the product chamber, the 16 being 1.6m in diameter and 50 being 5m long. 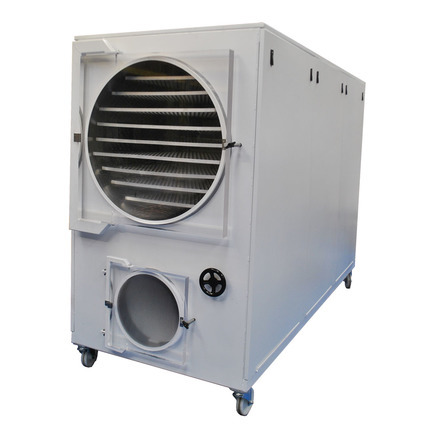 The Multidrier will freeze dry up to 10kg of product over 7 day cycle. 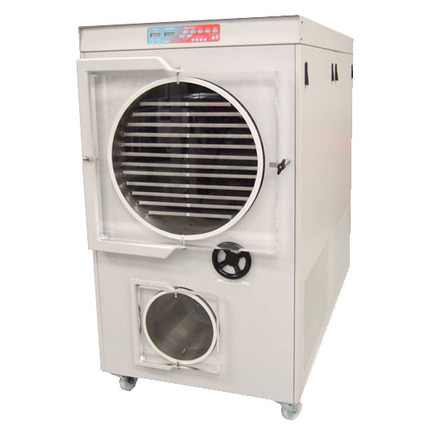 This is well suited for delicate products that require longer drying cycles such as flowers. Available with a variety of tray configurations such as aluminium mesh, solid stainless steel or as per customer requirements.